The poplars ringing Adrienne Herron’s wetland stopped growing where her cattle and horses were grazing, and just wouldn’t rebound. That was a real wake-up call for the Innisfail-area rancher. “I was concerned by the impact I was having on this ephemeral wetland with the cows and horses keeping the grass down as much as they were,” said Herron. The land had been “grossly overgrazed” before she purchased it in 2008, and while she managed it carefully, she knew the area around her wetland would be more productive in the long run if she put some work into it now. So Herron decided to fence it off, and turned to the ALUS program for help. ALUS (pronounced Alice and short for Alternative Land Use Services), compensates farmers for providing ‘ecosystem services’ on their land — both through the upfront costs of the project and the ongoing maintenance of the land. “Growing Forward will help pay for a fence, but it doesn’t pay the farmer for the ongoing management of this area. That’s what ALUS does,” said Ken Lewis, conservation co-ordinator with Red Deer County. That makes “perfect sense” to Herron, who receives $30 an acre for her stewardship project. “This wetland is on private land, but it’s got a public good to it. When I don’t run my cattle in the creek or I don’t overgraze or I preserve ecosystem services, it makes sense to be compensated for that. It’s something I produce,” said Herron, who has also fenced off her creek with help from ALUS. 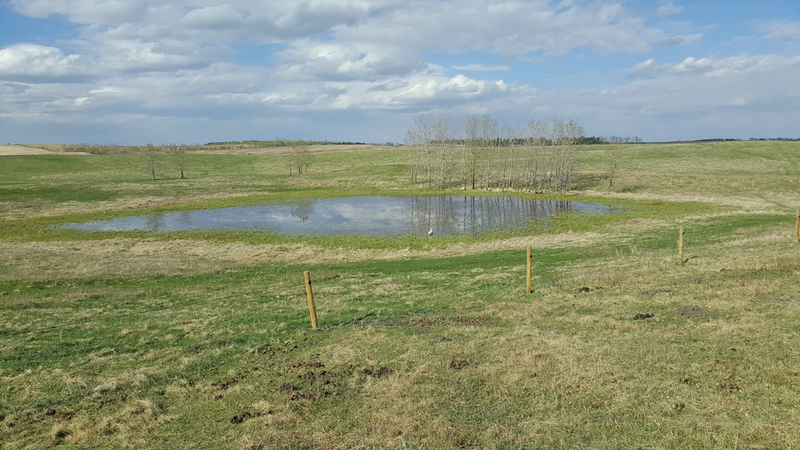 ALUS helped producer Adrienne Herron fence off an ephemeral wetland from her cattle and horses. And it’s an idea that seems to be gaining traction with an ever-growing number of producers. 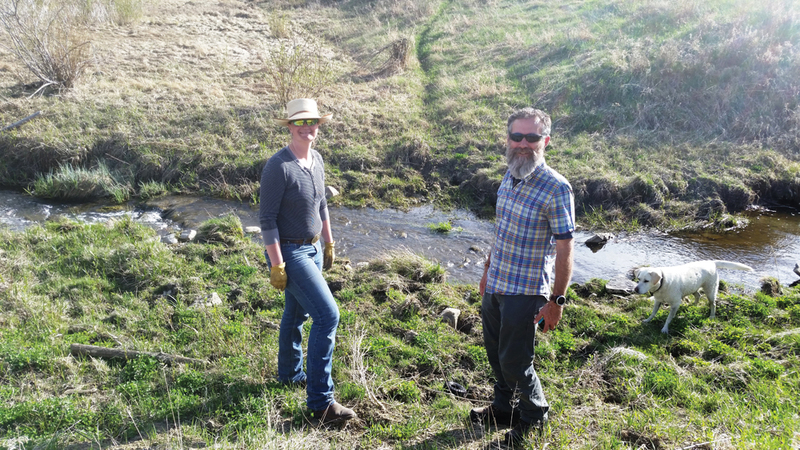 “It was kind of the magic formula that was missing in a lot of the extension programming happening in rural Alberta,” said Christine Campbell, ALUS hub manager for Western Canada. After starting in 2002 in Manitoba, ALUS came to Alberta in 2010 through a pilot project in the County of Vermilion River, before spreading to Parkland County in 2012 and Red Deer County in 2013. Today, there are 11 counties in Alberta that support ALUS programs. In Red Deer County (where Herron ranches), the ALUS program started out with five landowners in 2013 — now there are close to 70. “I watched the development of the ALUS program from the very beginning,” said Herron, whose day job with the provincial government puts her in contact with the county. That shift has come with greater awareness about the program and the benefits it brings, added Campbell. “What we hear time and time again from our producers is that the financial benefit is often the launching point that gets them interested in the program initially,” said Campbell. And there are opportunities to produce ecosystem services on “almost all agricultural lands,” she said. “I think almost all producers can look around and identify areas on their lands that are best suited for growing crops, best suited for grazing, and best suited for producing ecosystem services,” said Campbell. “These are things we want to do anyway. I don’t know a lot of producers who aren’t interested in being good stewards of the land. If you give them a bone — even just a little bone — people jump on it,” said Herron. Regenerative agriculture: A better way to farm?